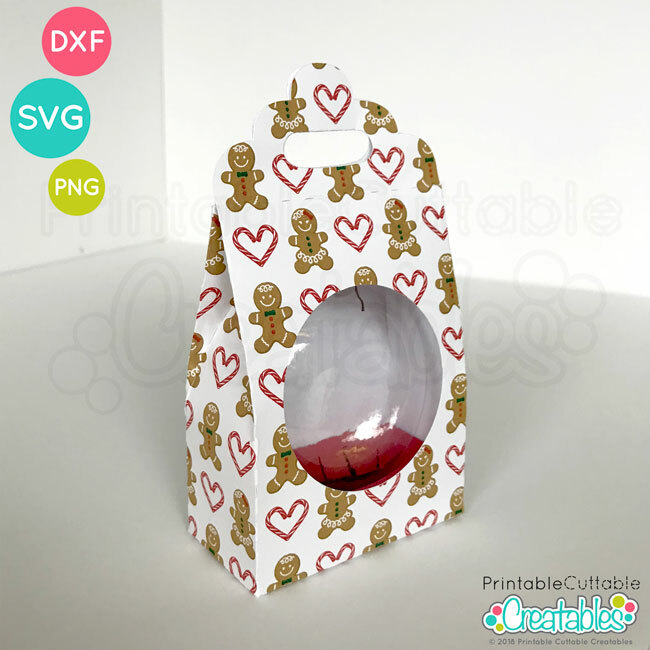 SVG Cut File – includes flat ornament box SVG template and ornament protective insert SVG for cutting with Silhouette Studio Designer Edition, Cricut Design Space or other vinyl cutting machines that accept SVG files. Package your handmade Holiday ornaments for someone special in a beautiful handmade disc ornament gift box! This Flat Disc Christmas Ornament Gift Box SVG File Template features a unique variation on the gable box, with curved side panels that accentuate, and hold your handmade flat ornament with, or without bow. An (optional) round viewing window perfectly displays custom vinyl ornament designs. A protective ornament insert template is also included, which cushions the disc ornament securely inside the gift box. 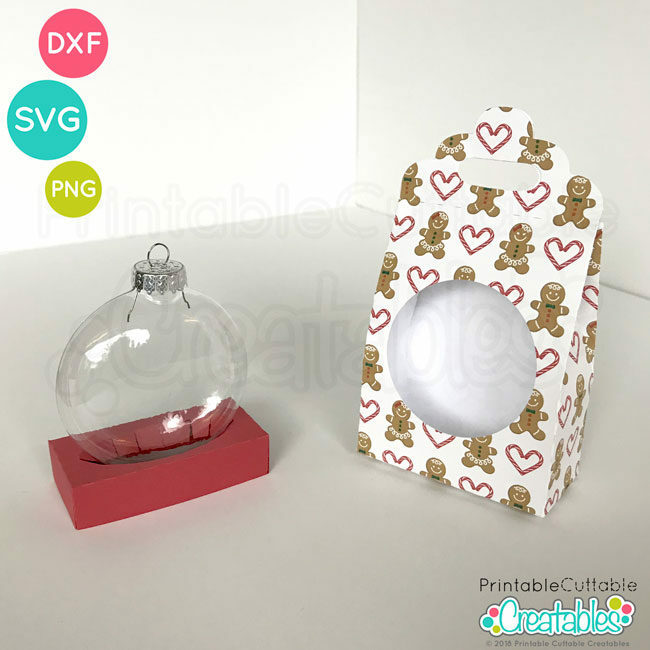 This Flat Disc Christmas Ornament Gift Box SVG File Template is sized perfectly to hold a 3 ¼” (82.5mm) size ornament, but can easily be resized for other flat ornament sizes. 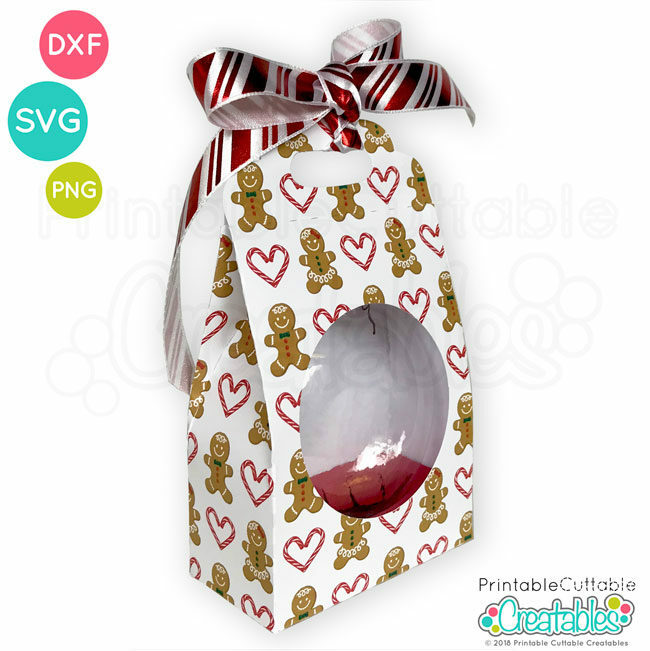 This Flat Disc Christmas Ornament Gift Box SVG File Template is easy to cut with Silhouette Studio Designer Edition, Cricut Design Space, Brother Scan N Cut, or other cutting machine software that accepts SVG files. The Flat Disc Ornament Gift Box SVG File and ornament insert can each be cut individually from 8 ½ x 11 letter sized cardstock, or cut the box and insert together from a single sheet of 12 x 12 cardstock. Print digital Christmas patterns on your cardstock to add a fun festive touch to this Flat Disc Christmas Ornament Gift Box SVG file! Adhesive is only needed on one flap for full assembly. Bottom flaps interlock, so no glue is needed and the bottom will not fall out. 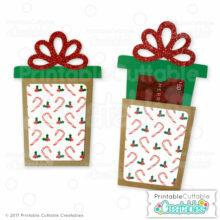 Top of box is self-closing, or you can add a decorative Holiday ribbon to complete the gift! All download files are watermark-free Files come in a ZIP format folder for faster downloading. This product is an instant digital download of SVG / DXF / PDF files, which will be available for download from this site or your email after checkout. NO physical items will be shipped to you! Images shown are examples of the assembled design. On your Smartphone or Tablet? No problem! You can save downloads right to your Dropbox, Google Drive, or other cloud storage from your mobile device and have your files waiting for you when you get to your computer! I LOVE to see my designs used in your creative projects! 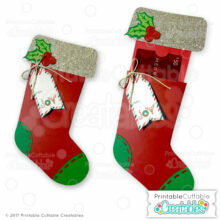 That’s why the listed price for this item includes Personal and Limited Commercial Use for up to 50 items sold. 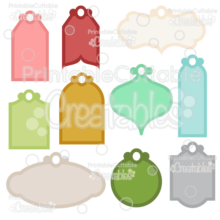 You MUST give credit in your product listing / description in the following format” “Design by www.printablecuttablecreatables.com”. If you do not give credit, rights to use this for commercial use will be revoked. If you do not wish to give credit, or exceed 50 items sold using this file, you may purchase one of our extended licenses. See our License & Copyright page for more info on permitted uses of our designs in your projects.